Multi-use, multidimensional highlighting and bronzing powder makeup brings customizable light to the eyes, face and décolletage. The prismatic pigments of Laura Mercier highlighters and bronzers drape the skin in longwearing illumination and shimmering radiance, which complement and bring a healthy, luminous glow to any skin tone. 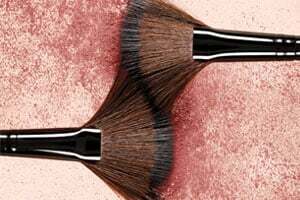 Rosy, bronze and natural highlighting hues add warmth to the face and a subtle glow, or build onto the apples of the cheeks for a healthy burst of bronze gleam. Our exquisite bronzers and highlighters dress the skin with a fresh-from-the-sun tanned glow.